These contest-specific rules should be read in conjunction with Alpha Media’s General Contest Rules, which are applicable to all contests conducted by Alpha Media Holdings LLC and/or its subsidiaries (including licensee subsidiaries). Sponsor(s): WCCQ, WSSR, WRXQ, WERV and WJOL, and Apple Vacations, Carson Tap House 823 Liberty St, Morris, IL 60450, City Wide Mattress 700 W Jefferson St, Shorewood, IL 60404, Heroes West Sports Grill 1530 Commerce Ln, Joliet, IL 60431, Brothers Country Supply 2403 Sycamore Dr, Morris, IL 60450, Draft Picks 523 Fairway Dr, Naperville, IL 60563 (collectively, “Sponsor”). 1. Promotional Period: The WJOL- Bracket Mania, WCCQ – Mad Marchness, WSSR – Bracket Bonanza, WRXQ- Mad Marchness, WERV- Mexico Madness contest (the “Promotion”) begins on or around March 17th 2019, at 5:00pm CST and ends at 5:00pm CST on or about April 8th (the “Promotional Period”). 2. Entry Deadline: The deadline to submit entries is 11:00am CST Thursday March 21st]. 3. Eligibility Restrictions: The Promotion is open to all legal residents of the United States and the District of Columbia (except NY and FL) who are 21 years of age or older at the time of entry. Employees of WCCQ, WSSR, WRXQ, WERV and WJOL (the “Station”), its parent, subsidiary, and affiliated entities, its advertising agencies, participating sponsors/promotional partners, other broadcast stations in the Station’s listening area, and the members of their immediate families (spouse, parents, siblings or children) or households (whether related or not) are ineligible to participate or win. This Promotion is subject to all applicable federal, state, and local laws and regulations. Void outside the United States, in NY, RI and FL, as applicable, and where prohibited. Listeners are eligible to win an Alpha Media contest valued at $600.00 or more only once every six months. Winners will be responsible for taxes and fees associated with this trip. Apple requires fees paid prior to the trip and then end of the year a W-9 will be turned in for winners to pay taxes to the government. Winners will be responsible for tax, fuel and insurance at redemption ($375-450 pp). The trip is non-transferable, non-refundable and cannot be exchanged for cash. Only one trip will be awarded per winner. If first place winner happens to win on more than one station, they will receive one trip and on second place winner will win on the other station. 4. Entry Method: To participate in the Promotion, you may enter via the following method(s). 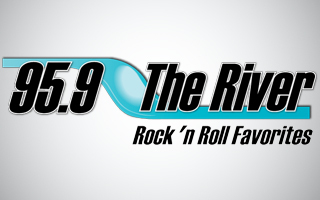 VIA INTERNET – Go to wccq.com, wjol.com, star967.net, qrockonline.com, and 959theriver.com and follow the links and instructions to enter and submit the required information, which may include your first and last name, address, telephone number, date of birth, and a valid email address, in the online entry form. Internet entries will be deemed made by the authorized account holder of the email address submitted at the time of entry. The authorized account holder is the natural person who is assigned to the email address by an internet access provider, online service provider or other organization that is responsible for assigning the email address or the domain associated with the submitted email address. Multiple entrants are not permitted to share the same email address. Entries submitted will not be acknowledged or returned. Use of any device to automate entry is prohibited. Proof of submission of an entry shall not be deemed proof of receipt by Station. The contest/sweepstakes administrator’s computer is the official time-keeping device for the Promotion. 5. Prizes: There are five prizes one per station participating. The Promotion is open to all legal residents of the United States and the District of Columbia who are at least 21 years of age at the time of entry (except that residents of Alabama and Nebraska must be at least 19 years of age at the time of entry and residents of Mississippi must be at least 21 years of age at the time of entry). Employees of Main Sponsor or Aptivada LLC, their respective parent, subsidiary, and affiliated entities, advertising agencies, participating sponsors/promotional partners, and the members of their immediate families (spouse, parents, siblings or children) or households (whether related or not) are ineligible to participate or win. This Promotion is subject to all applicable federal, state, and local laws and regulations. Void outside the United States and where prohibited by law. Entrants are required to provide truthful information and the Main Sponsor will reject and delete any entry that it discovers to be false or fraudulent. Main Sponsor will disqualify any entry from any individual who does not meet the eligibility requirements and will also delete any entry as required by law. Eligible Entries – Open to the first 500,000 eligible entries received by 12:00pm EST on 3/21/2019: Only the first (500,000) eligible entries received from contestants who have successfully completed the bracket prediction entry will be eligible to participate in the grand prize contest (see below). Any additional entries after the first (500,000) entries have been received are ineligible to participate or win any prize, regardless of the accuracy of their submitted bracket prediction. NOTE – Play-in game byes: The play-in games on 3/19/2019 and 3/20/2019 are byes, and not part of the prediction challenge. Bracket: Once the designated 2019 Men’s College Basketball Tournament team selections have been announced on 3/17/2019 – all registered or newly registering participants must fully complete the provided Bracket Prediction form on the Edit/Update Picks page of the contest website. Save Picks: All picks are saved automatically and can be changed and modified until brackets close at 12:00pm ET on 3/21/2019. Completed bracket prediction entries must be received by 12:00pm ET on 3/21/2019 in order to be eligible to participate or claim any prize. Any registered participant or contestant who fails to fully or correctly complete the on-line registration form, or fully and correctly complete the required Bracket Prediction for all (63) games in the designated tournament (and Save their picks) will be disqualified from the contest and will be ineligible to claim any prize (see below). Any bracket prediction not received by the required deadline for any reason including, but not limited to transmission error, internet problems, equipment or website malfunction, internet traffic or errors caused by viruses or hackers will be disqualified. Sponsor is not responsible for any delays or difficulty in receipt an eligible contestant’s Bracket Prediction that prevents participation. Any incomplete or illegible entries will be disqualified. Released Parties are not responsible for lost, late, misdirected, illegible, incomplete, invalid, unintelligible, damaged, or for entries submitted in a manner that is not expressly allowed under these rules, or for any entry not submitted or received due to any technical error or failure, unauthorized human intervention, inaccurate capture or mis-entry of any required information, or the failure to capture any such information or effects of hackers or failure of any electronic equipment, computer or cellular transmissions and/or network connections; all of which will be disqualified. Each participant must submit an entry on his/her own behalf. Any entry submitted on behalf of another individual or using another person’s email address or name will be disqualified and ineligible to claim any prize. No mechanically reproduced or automated entries permitted. Use of any automated system to participate is prohibited and will result in disqualification and all such entries will be deemed void. Any incorrect entries will receive 0 points. The maximum point total for correctly determining the winning team in every game played during the Designated Tournament is 192 points. At the completion of the designated tournament, each eligible contestant bracket entry received will be compared to the actual bracket outcome. Each player will choose a score for a designated matchup the “Tiebreaker Matchup”. The absolute value of the difference between the chosen and actual score for tiebreaker team #1 is added to the absolute value of the difference between the chosen and actual score for tiebreaker team #2, then this value will be subtracted from the possible baseline tiebreaker points of 100. If player leaves either tiebreaker team blank the player will automatically receive 0 tiebreaker points. The player’s tiebreaker points will be a separate score and will only be used in the case of a tie. In which case the player with the highest tiebreaker points will be the winner. If a tie still exists after using the tiebreaker formula then a random winner will be chosen from the pool of tied players. In order for the grand prize to be awarded, an eligible contestant must correctly predict all (63) games in the designated Men’s College Basketball Tournament. If no eligible contestant correctly predicts all 63 games, then the Grand Prize will not be awarded. If any eligible contestant correctly predicts all (63) games in the designated Men’s College Basketball Tournament, they will be eligible to claim the grand prize subject to verification of compliance with these official rules. The grand prize is: $1,000,000 40-year annuity, awarded in the form of $25,000 Cash per year for 40-years without interest. The initial prize award of $25,000 cash shall be awarded within approximately 30-days of receipt of all required prize acceptance paperwork, and each subsequent payment shall occur on or about the anniversary date of the first payment for 39-years. No current cash value of the annuity prize award will be available. A maximum of one (1) grand prize will be awarded. In the event of multiple winning entries, then the cash value of the grand prize will be evenly distributed among eligible winning contestants. If no eligible contestant successfully completes the grand prize-winning requirements, then the grand prize will not be awarded. IMPORTANT NOTE: Not all participating markets shall award a Bracket Champion prize award. 1st Place bracket champion prize awards shall only be available as designated by that local participating market, in the market’s sole determination and discretion. Any available local participating market 1st Place Bracket Champion prize award shall be as designated, announced and listed on the participating radio station website(s). See any participating station website for availability and 1st place bracket champion prize award details. If there is not a 1st place bracket champion prize designated, then there shall not be a local market Bracket Champion prize award for that market. If available in your participating market, the eligible contestant who predicts the most games correctly from among all eligible contestants within that participating market, thereby earning the most points in the bracket challenge will be eligible to claim the 1st Place Bracket Champion prize award available for that market (if available), subject to approval and verification of compliance with these official rules. The 1st Place Bracket Champion prize award is bracket champion bonus prize award, consisting of the merchandise and items as solely determined and announced by the participating market and local radio stations. There is a maximum of one (1) 1st Place Bracket Champion prize award available per participating market. In the event of multiple contestants tied for the most games predicted correctly within the market, then the tie breaking procedures (see above) will apply for determining the 1st Place Bracket Champion prize winner for that market. Winner must accept delivery of prize as specified by Stations/Sponsor. Prize does not include any other costs or associated expenses not specifically listed by station(s) or any related delivery, prize acceptance, installation or use costs. All prize awards are non-cumulative. There is a maximum of one prize award per participating contestant. All applicable federal, state and local taxes are the winner’s sole responsibility. All prize awards are non-transferable, and no cash redemption or prize substitution allowed, except at Sponsor’s sole discretion or as provided herein. Sponsor reserves the right to substitute a prize of comparable or greater value, at its sole discretion. All other costs and expenses related to prize acceptance and use not specified herein as being provided are the sole responsibility of Grand Prize or Bonus Prize winner. All income, federal, state and local taxes are Grand Prize or Bonus Prize winner’s sole responsibility. Sponsor reserves the right to substitute a prize of comparable or greater value, at its sole discretion. Failure to collect or properly claim any prize in accordance with these rules will result in forfeiture of the prize. If forfeited for any reason, finalist will not receive any other prize substitution or compensation, and the prize will remain the property of Sponsor and will not be awarded, except as provided herein. All other expenses not specified herein as being included are the sole responsibility of winner. Prize awards are non-transferable, and no cash redemption or prize substitution allowed, except at Sponsor’s sole discretion or as provided herein. a. Payments of all federal, state and local taxes are solely the responsibility of the winner(s). Winner(s) will be required to complete and submit an IRS Form W-9 or the equivalent including a winner’s full Social Security Number for receipt of any prize valued at $600 or more or for any prizes awarded by the station conducting the Promotion (in combination with any prizes won in Promotions run by any other Alpha radio station) in a calendar year with an aggregate value of $600 or more. Failure to submit a complete W-9 or equivalent will result in disqualification and forfeiture of the prize. b. Participating in the Promotion and acceptance of a prize constitutes a winner’s and guest’s (where applicable) permission for the Alpha or its agents to photograph, film and record each winner, and to use his/her name, address (city and state), likeness, photograph, voice, biographical information and/or any statements made by him/her regarding the Promotion or its sponsors for purposes of trade, publicity or promotion without additional financial or other compensation, and, Alpha may, where legal, require a winner (and guest or travel companion, where applicable) to sign a publicity release confirming such consent prior to acceptance of the prize. It is the responsibility of the winner(s) to ensure that their guest(s) or travel companion(s) sign and return any required release. In the case of a conflict in this paragraph 3 b and any similar paragraph in contest specific rules the general specific rules will govern. iii. represent and warrant that: you are at least as old as the age of majority in your state; you have the full legal right, power and authority to grant to Alpha the license provided for herein; you own or control the complete exhibition and other rights to the Materials you submitted for the purposes contemplated in this license; you are either the parent (or legal guardian) of any minor featured in the Materials or have received the express consent of the parent (or legal guardian) for any such minor to appear in the Materials and to enter the minor’s likeness in the Materials in the contest; and neither the Materials nor the exercise of the rights granted herein shall infringe upon or violate the right of privacy or right of publicity of, or constitute a libel or slander against, or violate any common law or any other right of, any person or entity. d. Prior to awarding any prize or prize certificate, and depending on the nature of the prize and eligibility requirements of the Promotion, Alpha in its sole discretion may require verification of Promotion winner’s or winners’ identification by a showing of valid government-issued photo identification. e. To the fullest extent permitted by law, by participating and/or accepting a prize, entrants, winner(s) and guests (if applicable) agree to release and hold harmless the station conducting the Promotion, its sponsor(s) and promotional partner(s), its advertising and promotion agencies, any social media platform utilized in the conduct of the Promotion (including but not limited to Facebook, Inc.) and each of their respective parent, subsidiary and affiliated entities, and the officers, shareholders, directors, employees, agents, representatives, successors, and assigns of each of them (collectively, the “Released Parties”) against any and all claims or liability arising directly or indirectly from the prize or participation in the Promotion. Alpha may also require eligible Promotion winner(s) and their guests or travel companions, if any (as well as each of their parent(s) or legal guardian(s), if winner(s), guest(s) or travel companion(s) are under the age of majority in their state of residence), to sign a liability release confirming such consent. It is the responsibility of the winner(s) to ensure that their guest(s) or travel companion(s) sign and return any required release. f. The station conducting the Promotion, in its sole discretion, reserves the right to disqualify any person (and all of their entries) from this Promotion if he or she tampers with the entry process, the operation of the Promotion, or the operation of the station’s website, Facebook Page, and/or any other social networking site used in the Promotion, or is otherwise in violation of the rules. The station conducting the Promotion further reserves the right, at its sole discretion, to modify, cancel, terminate or suspend the Promotion, or any part of it, if it is not capable of completion as planned or if any fraud, technical failures or any factor beyond the station’s control, including infection by computer virus, bugs, tampering, unauthorized intervention or technical failures of any sort, corrupt or affect the administration, security, fairness, integrity or proper conduct of the Promotion as determined by the station in is sole discretion. Any attempt by an entrant or any person to deliberately damage any station website, Facebook Page, and/or any other social networking site used in the Promotion or to undermine the legitimate operation of this Promotion may be a violation of criminal and civil laws. Should such an attempt be made, the Alpha reserves the right to seek full prosecution and/or damages from any such individual to the fullest extent permitted by law. The station’s failure to enforce any term of these Official Rules shall not constitute a waiver of this provision. If due to circumstances beyond the control of the station conducting the Promotion, any competition or prize-related event or travel is delayed, rescheduled, postponed or cancelled, the station reserves the right, but not the obligation, to modify, terminate, suspend or cancel the Promotion and shall not be required to award a substitute prize. g. The Released Parties are not responsible for (i) typographical or other errors in the printing, the offering or the administration of the Promotion, or in the announcement of a prize; (ii) entries not received due to difficulty accessing the internet, service outage or delays, computer difficulties, malfunctions, disconnections, other technological failures, telephone service outages, delays, dropped calls, or busy signals, or any other difficulties that may prevent an individual from sending or receiving a text message; or (iii) lost, stolen, mangled, misdirected, postage due, illegible, incomplete, incorrect, or late entries. Further, the Released Parties are not responsible if any part of a Promotion prize cannot be awarded due to acts of god, acts of war, natural disasters, weather, acts of terrorism or other factors beyond Alpha’s control. 9. Official Rules and Winner List: To obtain a copy of the General Contest Rules, these contest-specific rules, or a list of winner(s) following completion of the Promotion (please specify which), send a self-addressed, stamped envelope (VT residents may omit return postage) specifying “General Contest Rules,” “Contest-Specific Rules,” or “Winner List” to WJOL- Bracket Mania, WCCQ – Mad Marchness, WSSR – Bracket Bonanza, WRXQ- Mad Marchness, WERV- Mexico Madness Winner List or Official Rules Request, WCCQ, WSSR, WRXQ, WJOL 2410-B Caton Farm rd Crest Hill, IL 60403 and WERV 1884 Plain Ave Aurora IL, . A copy of the General Contest Rules, contest-specific rules, and a list of winner(s) (when complete) are also available during regular business hours at the main studio of WCCQ, WSSR, WRXQ, WJOL 2410-B Caton Farm rd Crest Hill, IL 60403 and WERV 1884 Plain Ave Aurora IL. All such requests must be received within thirty (30) days following completion of the Promotion.